During the month of August when we are knee-deep in delicious berries, we add them to our morning cereal, smoothies, salads, and desserts. 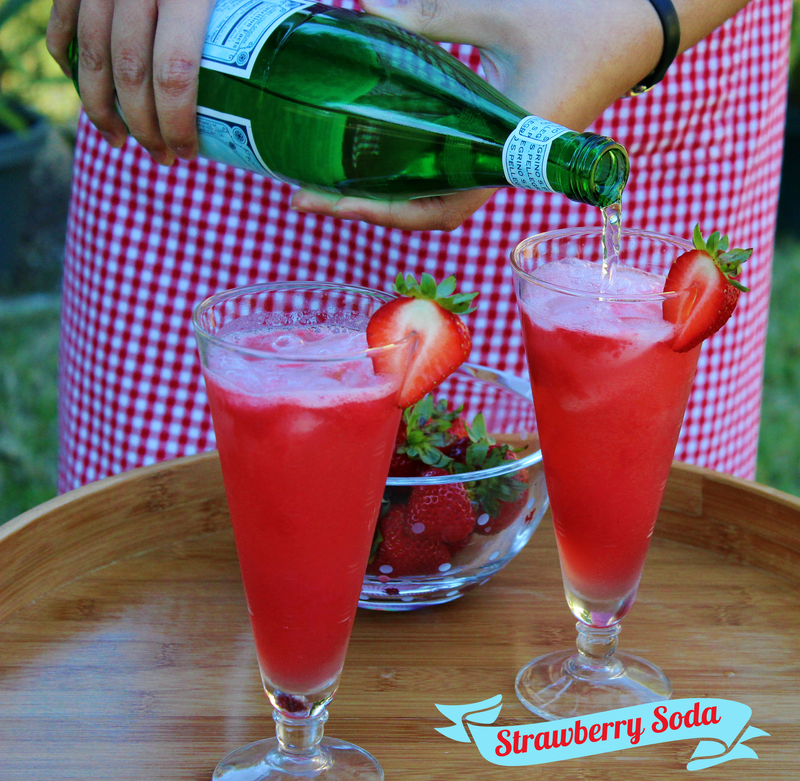 And another delicious way to enjoy strawberries is the homemade strawberry soda. Packed with delicious strawberries, it contains minimal sugar and can be enjoyed without guilt. 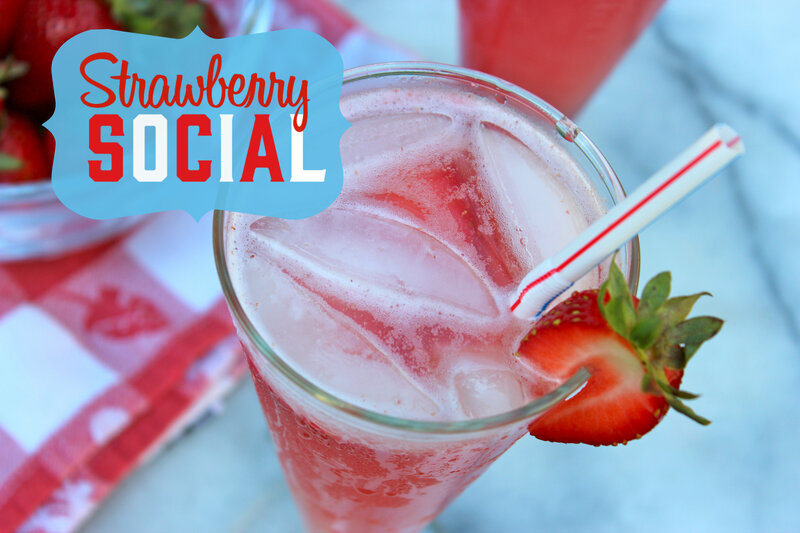 Homemade strawberry soda is great for brunch or lovely as an apéritif. Add vodka? Better hurry! Puree the strawberries using a food processor or blender. Strain into a glass measuring cup and set aside. Fill 6 tall glasses halfway with ice cubes. Equally divide the strawberry puree among the glasses. Add a 2 tablespoons of simple syrup to each glass. Top with sparkling water and add 2 teaspoons of lemon juice, to taste. Gently stir and serve. Simple syrup or sugar syrup is a combination of sugar and water that is cooked to a clear syrup. Used for cocktails, poaching fruits, glazing and moistening cakes, and is the base for sorbet. In a small saucepan over medium-high heat, combine sugar and water. Stir until the sugar dissolves and bring to a full boil. Boil for 1 minute. Remove the pan from the heat and allow to cool completely before using. Store syrup in the refrigerator in an airtight container until ready to use. 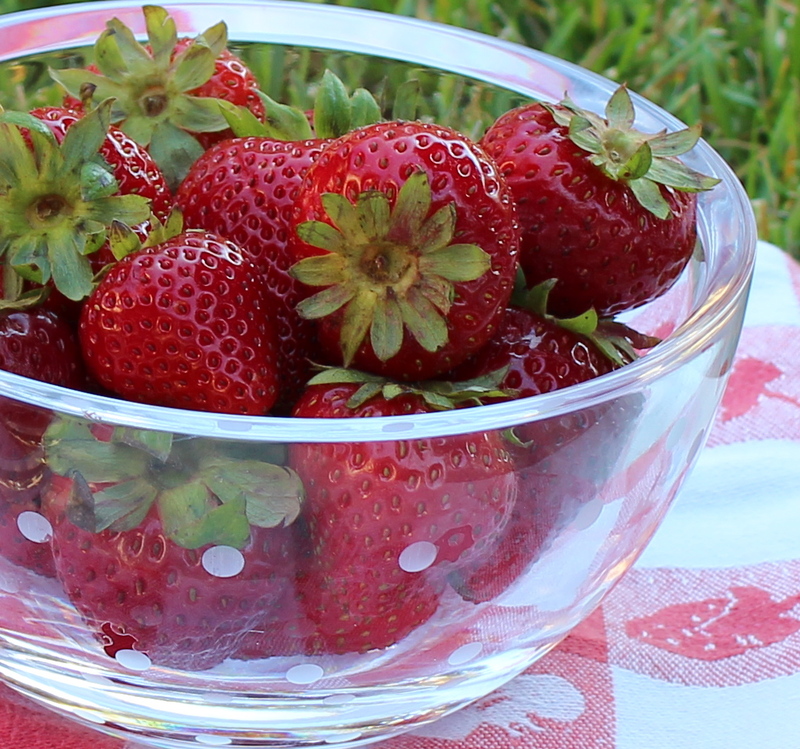 Check out our previous blog post about strawberries for tips on how to choose the best berries, washing and storing, and a great recipe for roasting strawberries. Still don’t know what to make for Thanksgiving dinner? It’s not too late to pull something together! Here’s a handy list of everything we’ve made for the Thanksgiving holiday and we’re ready to show them to you right now! Each link takes you to a recipe and corresponding technique videos. It’s our Thanksgiving Series all in one place! Spinach and Walnut with apples and warm bacon vinaigrette… or… Frisee with segmented oranges and pomegranates with a hazelnut vinaigrette. Either way, you win. These are the tastiest, most mouth-watering salads that complement any Turkey Day menu. Imagine sitting down to a silky, savory soup to kick off your Thanksgiving feast! Packed with fresh veggies – it’s so true that soup is GOOD FOOD! Our favorite Go-To stuffing recipe. Sweet and savory, nutty and spicy… this one pleases every palate — even the picky eaters! The most hassle-free way to cook a delicious turkey. We promise! We even have a video on how to carve the turkey! For all of the vegetarian or meatfree Thanksgiving diners out there – this one’s for you! A roasted pumpkin packed with delicious veggies, grains,nuts and cranberries. It’s a feast for the eyes, the body and the soul. 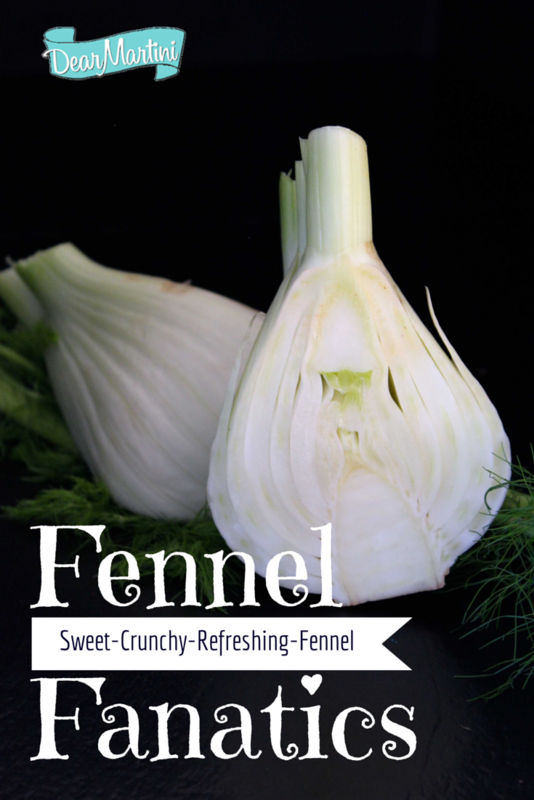 Love them or hate them, this seasonal vegetable is a great side dish to your menu. The traditional tart and sweet cranberry sauce gets a makeover! Deep and spicy but still fruity and fresh! Make the gravy right in the roasting pan for maximum flavor! Dear Martini wishes you a Happy and Safe Thanksgiving!